Our company began because clients lose their assets or the students and staff that use them, might steal, misplace or abuse the privilege. 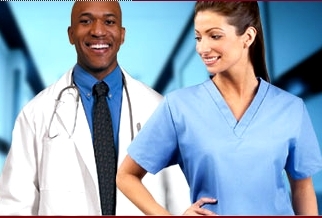 Initially we were a garment provider of licensed college scrubs and lab coats. Our professional garments, which we still offer, are made from the best 60/40 poly cotton blend, with quality features including: they are color fast; stain resistant; and wrinkle free. These medical uniforms were often decorated with the logos of the clients, and unfortunately this stellar combination of a quality garments with an embroidered collegiate logo, proved to be so attractive they were taken (stolen) far faster than the run-of-the-mill ones. So we created a theft deterrent of imbedded technology in our scrubs and coats. And we secured our first patent. The practical implementation and advancement of our garment solution prompted our customers to ask for help with their instruments and surgical assets. The rest, as we say, is history as Secure Innovations began to provide a series of barcode tracking solutions with affordable, lift and stick, or non laser marked barcodes (directly on to the surface of the instrument, cassette or tray). These new properties became the best, cost affordable answer, for the healthcare industry. EM (Electro-magnetic) strips for alarm detection. Resistant to all forms of commercial laundry and your employee or student never knows they’re there. 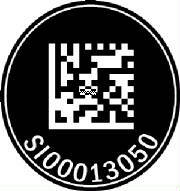 Barcodes and the InfoDot ™ are part of our patented solution. Whether your choice is lineal; Aztec, 2D or another, we have a subtle answer that will deter theft.